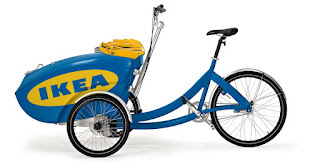 We've always loved the Danish cargo bike brand Triobike. Cool design, lightweight build and a real statement on the urban landscape. 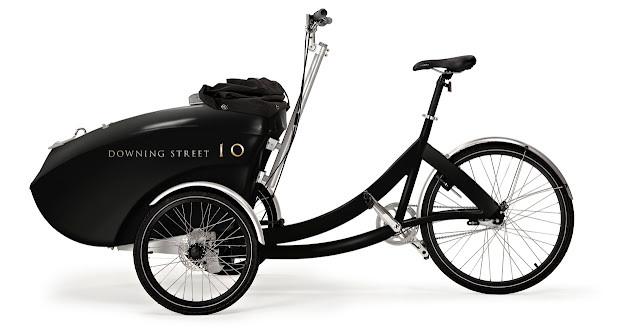 The Mercedes of cargo bikes, if you like. Their Mono model is becoming more and more popular on the streets of Copenhagen - and beyond. We've taken a fair share of photos of bicycle users on Triobikes over the past few years, too. 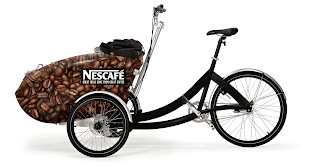 We also love the way they've branched out into co-branding and using their bikes as marketing space. This customised model features the trademark detailing of the famous Royal Copenhagen brand and was done in association with them for Illums Bolighus - the iconic design store in Copenhagen. 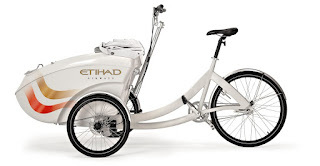 The possibilities are endless, given the rebirth of bicycle culture and especially the increasing focus on cargo bikes as cool tools for urban life. 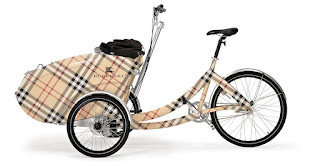 Burberry Bike, anyone? Or a Paul Smith version? Flying away or enjoying a cup of joe? How to get your cheap DIY bits and pieces home from a certain Swedish warehouse. And how about this? Wouldn't THIS be brilliant? Not just parked outside No. 10, but actually used around London by the resident. Danish design meets the demand for city life once again. Practical, functional and elegant. mikael, you borked the link to trio's website. it reads htpp rather than http. dem's some nice lookin bikes. 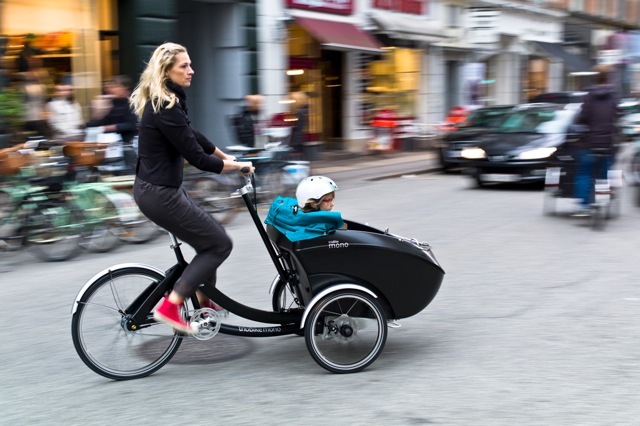 I love cargo bikes.But here in the States,someone would report you for child endangerment for have a child in one.